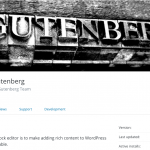 With Gutenberg, is there a future for page builders? The real question is whether Gutenberg will better serve both users and developers than page builders currently do. If so, great, I love sticking to native functionality. If not, we’ll continue to have diverse methods of accomplishing page layouts. That diversity isn’t in itself bad, but it would be nice if we could all be on the same page with Gutenberg (see what I did there?). For now, I remain cautiously pessimistic. 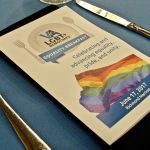 As Vice-Chair of Technology and Communications of LGBT Democrats of Virginia, the lead up to the Equality Breakfast adds a little stress to the usual routine. However, it was all worth it as the event came together and we had a room full of people celebrating and advancing equality, pride, and unity at this year’s event. Through Comit Strategies, I was proud to be a sponsor of the event. Hard to believe it’s been almost 11 years since coming back to Virginia after being in Colorado Springs and Kansas for two years. The beauty of the area was always something I could rely on to inspire me. Going back, the beauty was one again amazingly breathtaking. There’s a part of me that really feels like I belong in the mountains. 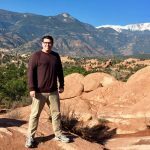 Check out some photos from Garden of the Gods and Old Colorado City. 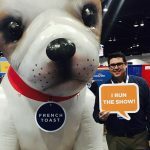 The National School Boards Association Conference this year was in Denver, Colorado. It’s always very insightful to see what divisions across the nation are doing and the challenges they are facing. Virginia Beach City Public Schools was well represented, as our superintendent, vice-chair, and members of senior staff presented at various sessions and spoke on various panels. I’m located in Virginia Beach, Virginia. If you want to mail me something, send it to 1701 Baltic Avenue, Virginia Beach, VA 23451. You can also click here to send me an email.